These quick action toggle clamps are extremely useful for bench-mounted jigs and special jigs for machinery. 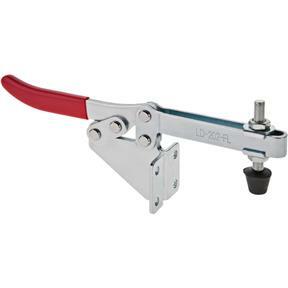 Grizzly offers a terrific selection of press down and push-type toggle clamps to suit a wide range of clamping applications.Capacity: 510 lbs.Handle position when locked: DownSize: 9-1/4" x 4-1/4"Reach: 3-1/4"
These quick action toggle clamps are extremely useful for bench-mounted jigs and special jigs for machinery. 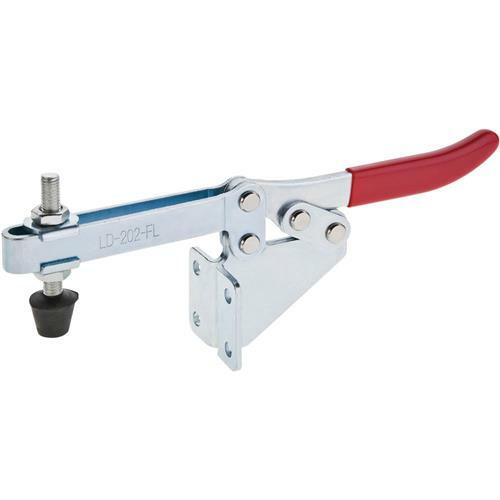 Grizzly offers a terrific selection of press down and push-type toggle clamps to suit a wide range of clamping applications.